A Monster Matchup for The NBA Finals ~ Roundball Manor - The House that Basketball Built. Since 1999 the San Antonio Spurs, Los Angeles Lakers, and Miami Heat have been in every one of the NBA Finals. The post-Jordan era has seen the Lakers win five titles, the Spurs win four, and the Heat win two. These teams and their superstars like Kobe Bryant and Tim Duncan have carried the Roundball torch for more than a decade, and it now appears father time is ready to pass it on to the next generation led by LeBron James. They say a lion is most dangerous at the end of its life because he knows he has ONE good fight left in him. 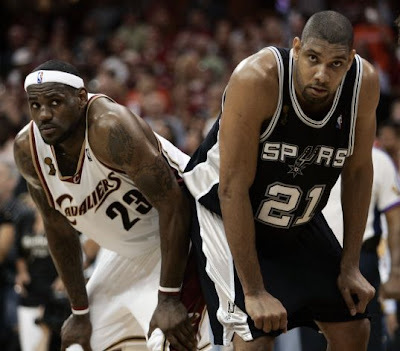 Tim Duncan is that wise old lion and he and the Spurs are using every minute of their nine day break to study and prepare for the strongest lion in the pride, LeBron James. This will be the second time these two meet in The Finals, the first one being back in 2007 when the Spurs swept a young, inexperienced Cavaliers team. This is not the same Spurs team. This is not the same LeBron James. The San Antonio Spurs are older, wiser, and move the ball better than any team in the league. All of their players share the ball, find the open man, and they make you pay by knocking down open threes. Their offense is orchestrated by the best point guard in the game, Tony Parker. The Frenchman is a pick and roll nightmare, finding the tiniest cracks in defenses and exploiting them. He can dish out dimes or knock down the open shot. He will be a matchup nightmare for Mario Chalmers and Norris Cole. The Heat will need to throw everyone at him including Dwayne Wade AND LeBron James late in games. 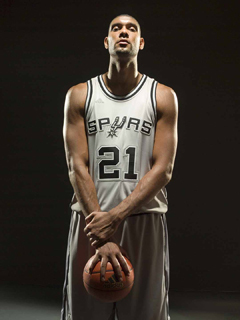 They will also need to worry about the greatest power forward of all time, Mr. Tim Duncan. The Pacers proved that size and power in the paint is kryptonite for the Heat and so Duncan must set up shop underneath and dominate on the low block. He will work his inside-outside read and react game with Tony Parker beautifully, giving the Heat trouble all over the floor. The Spurs are a complete team and have continued to prove it all season long. Tim Duncan has dominated for more than a decade and solidified himself among the all-time greats. Like the old lion, he knows his time is nearing its end, so expect him to have the battle of his life trying to capture that title one more time. The Miami Heat will have their own aresenal of weapons to counter-attack the Spurs. It starts and ends with King James who has been putting up rediculous, video-game like numbers all postseason. (26-7-6) This King of the Jungle is all-world, can guard all five position on the floor, score at will, and has the greatest basketball IQ in the game. He leads perhaps the greatest fast break team the league has ever seen. Their speed is unmatched, and at times they can reach a level like no one else. Along with their speed, they spread the floor better than anyone in the league. They keep you honest by stockpiling sharpshooters around the three point line. If you choose to double down on LeBron, everyone on the floor can hit the open shot. That mix makes for a deadly combination. It is the reason they went 66-16 this season, including an incredible 27 game win streak that lasted almost two months. They won 37 of their final 39 games. 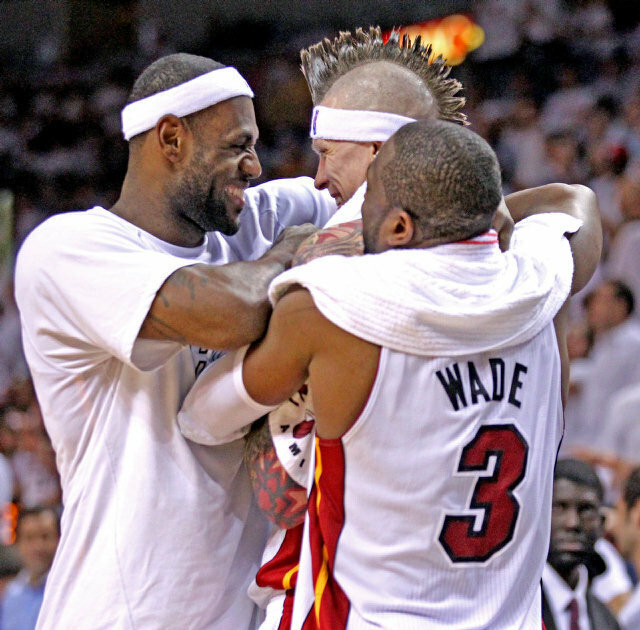 They have not lost back to back games since the Birdman joined the team in January. They are a team on a mission to repeat as champs. Hugs not drugs for The Birdman in 2013. If they are to be successful they will need way more production out of Dwayne Wade and Chris Bosh. Bosh was outmatched and undersized against the Pacers last series. He is a natural power forward that plays center to help spread the floor. The Heat must call his number in the first quarter of every game and get him in a rhythm. They need a double double out of him every night to win this series. They will also need Dwayne Wade to be the player he was in game 7, crashing the glass on both sides of the ball, getting his teammates involved, and getting to the free throw line. They can not expect LeBron to carry the offense against the Spurs. Wade and James must both continually attack the paint to open up their offense. If they do this it will be hard for the Spurs to cover everyone on the floor, leading to some open threes and some easy buckets, wearing the Spurs defense down over the length of the series. 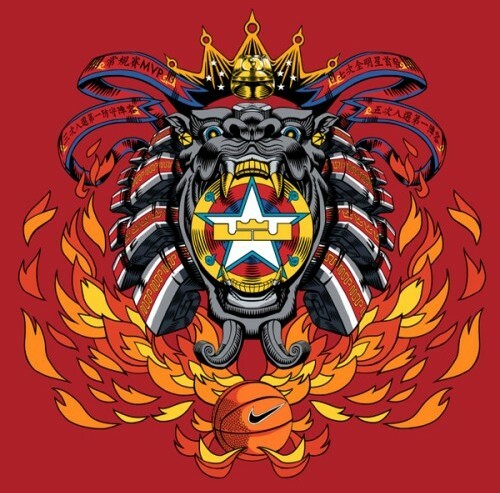 This will give rise to LeBron James, King of the Jungle, to once again claim his throne among the NBA pride. Cue the Lion King music.